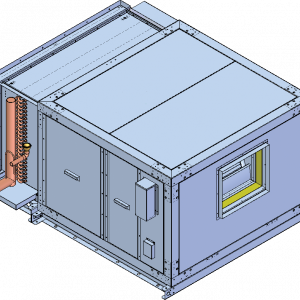 Designed for small reach-in coolers, back bars, and beverage coolers where space is at a premium. Lightweight cabinet made of smooth aluminum and corrosion-proof hardware featuring a generously sized coil with protective coating. 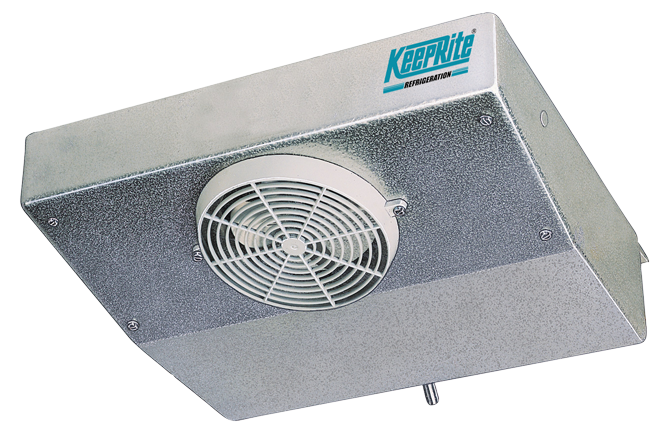 Low velocity rear air discharge minimizes product dehydration and reduces door sweating. Attractive low silhouette allows maximum usage of refrigerated space. Lightweight cabinet made of smooth aluminum and corrosion proof hardware. Protective coating on all models. Generously sized coils provide balance with available condensing units and compressors. Rear air discharge reduces door sweating. Motors thermally protected and life lubricated. 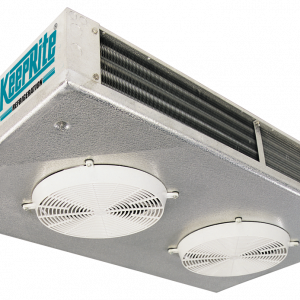 Light molded plastic fan blades ensure low noise level and optimum air circulation. Internally equalized expansion valve mounts inside of cabinet. Removable drain pan with self-retained fasteners. Knockouts for electrical connections conveniently located in cabinet. Opening at the back for refrigeration connections. Durable high density electric heaters for a fast and complete coil defrosting. Defrost termination and fan delay thermostat mounted and wired inside of cabinet. Electrical junction box with terminal plate. Designed for small reach-in coolers, back bars, and beverage coolers where space is at a premium. R134a, R404A, R507, R22, R407A, R407B, R407C. 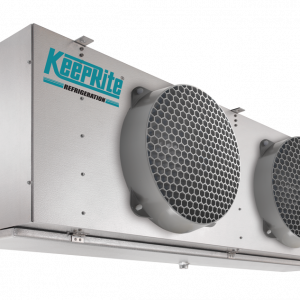 MK-LINE – AIR DEFROST: Models available from 1,000 BTUH to 3,000 BTUH at 10°F TD, 404a.